Samuel was born in Argentina, the eldest son of a banker in Buenos Aires, but it was in England that he received his education. He attended Buckingham Royal Latin School and The Blue School in Wells before he joined Campden Grammar School as a boarder. He spent eleven years in Campden at the Grammar School and his three younger brothers, William Charles, Albert Alexander and Edgar George, joined him there. Samuel was an outstanding athlete and a very active member of the Cadet Corps. His army service papers indicate that he was in the Cadet Corps from 15 May 1915 until 5 October 1916 and he achieved the rank of sergeant. At the age of 18, with the war in progress for over two years, he joined “B” Company of the Inns of Court Officers’ Training Corps as Private 9695 Samuel Leech. In April 1917 he applied for his commission and he became a 2nd lieutenant with the East Yorkshire Regiment on 26 April. 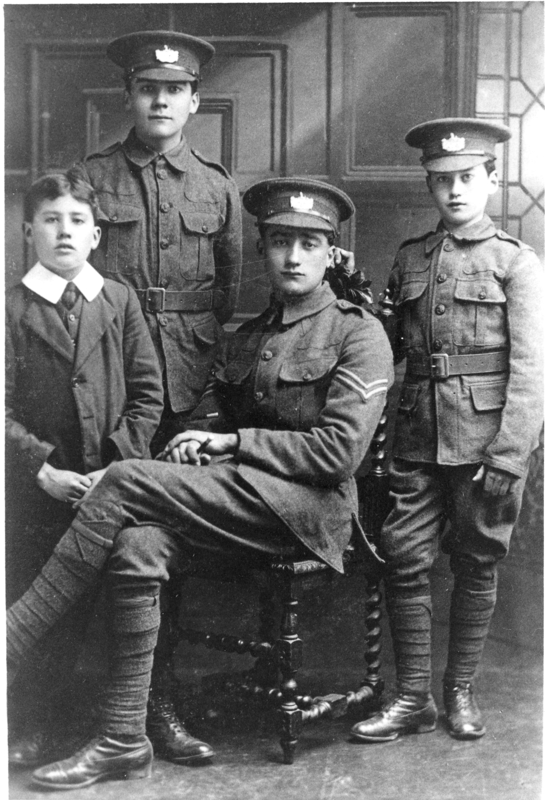 The Battle of Passchendaele started in July 1917 and Samuel was sent to Belgium to join the 8th Battalion in September. The battlefield was a sea of mud and water-filled shell-holes by the time he arrived at the front as a young officer. The conditions in which he was expected to lead men were beyond anything that he could have imagined. It was at Zonnebeke, five miles north-east of Ypres, that he received a severe gunshot wound in his chest on 26 September 1917. He had been at the front for less than a month and he would not see any further overseas military service. After a period of treatment in hospital in France he left Boulogne for Dover on 11 October 1917 and it was not until June 1918 that he was officially passed fit for further military service. The remainder of the war was spent attached to 3rd Battalion, East Yorkshire Regiment on home service. In October 1918 he was an instructor at the NCO School of Instruction in York but another period of treatment further disrupted his military service when he was admitted to Brighton Grove Military Hospital in Newcastle-upon-Tyne,. After the war Samuel applied to return to Argentina and was discharged from the army on 21st August 1919; this was after he left England on SS Meteor for Argentina on 31 July. He arrived on 20 August and nothing is known about the rest of his life.